I've been nursing this little plant (18 inches) along for 10 years or so. 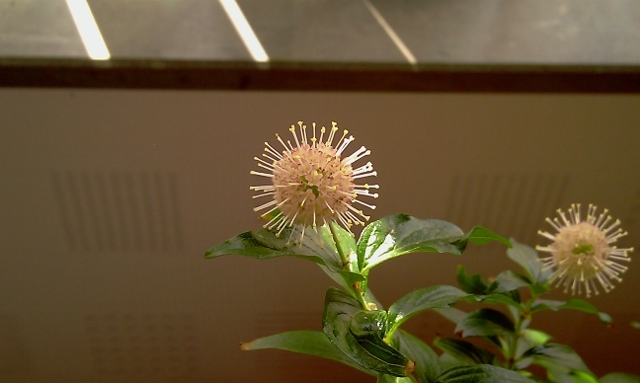 It is buttonbush (Cephalanthus occidentalis), NOT buttonwood. It is a plant of the low fresh-water swampy areas of the eastern US, southeastern Canada, and a tiny tip of northeastern Mexico. It often grows with its roots totally submerged all year long. It has yellow-white flowers (actually a cluster of tiny flowers) about the size and shape of fuzzy golf balls. Makes great honey! The leaves are quite large (but do reduce in a pot -- a little). These leaves are still newish and havn't reched their full size. They do go smaller in the sunlight, but this is a deep understory tree and doesn't much care for sunlight. The bark is a feature and is what I've kept this one around for -- that and the nice base. Has any other USAian tried this species? In a strong El Nino weather event about ten years ago, I gathered a number of riparian species that had been “set free” by the floods. One of these was a Cephalanthus. It did very well for about five years, then suddenly – caput. It could have been the cool and damp summers here in SF when it prefers summers that are HOT. I hope you will keep trying with this one and let us know your progress. Has it ever flowered in a container? Mine never did. Has it ever flowered in a container? Mine never did. I've had this one in a pot for 10 years. But then, we have hot summers. Thanks for the range info. The Audubon guide says it is in Cuba and Central America, too. Wonder what happened in the gap between east and west. I have one in my landscape that I am pruning to be quite elegant, like your bonsai. I never considered it for bonsai due to the leaf size, but yours looks good! Very nice nebari. The golf balls, er flowers are also nicely fragrant on these. It tends to sucker a little bit, but can be kept under control reasonably easily. 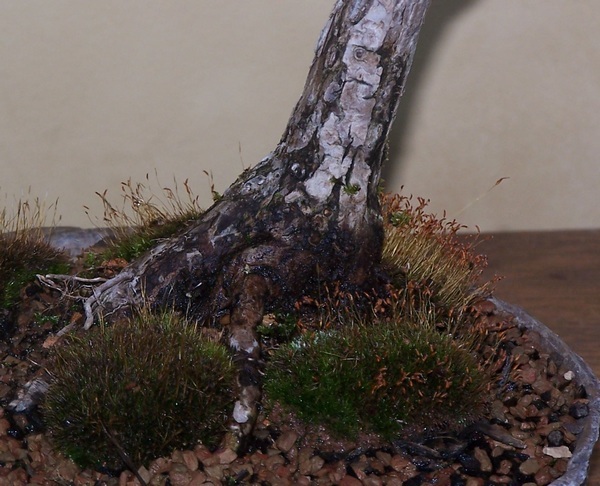 I have this bonsai 1 year and bought it in the endyears-sale. It's a nice plant and have beautiful flowers. 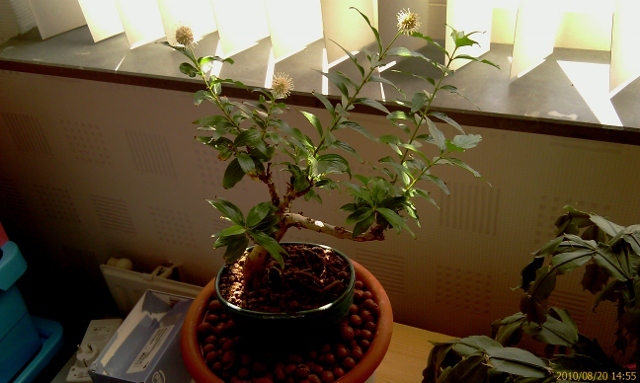 rubigo wrote: I have this bonsai 1 year and bought it in the endyears-sale. Wonder how one of these rather obscure plants made it to The Netherlands? Open the url and you can see it for youself. It's a nice plant about 20 cm high and has 3 flowers. Amazing! OK. Thanks. Do you actually grow this inside?? Oh yes he's growing 100% indoor. In winter the plant was looking as where it almost dead. No leaves at all. I put it in akadama and cutting a third of the roots. At the end of spring he was full of leaves and came to be alive. Actually i bought a Punica Granatum but i was something else so you can see. Well i am happy with it. Rubigo's plant is actually Adina rubella, Chinese buttonbush, and not Cephalanthus occidentalis. It makes a big bush but the leaves are much smaller and the growth is finer textured. Russell Coker wrote: Rubigo's plant is actually Adina rubella, Chinese buttonbush, and not Cephalanthus occidentalis. It makes a big bush but the leaves are much smaller and the growth is finer textured. Thanks for the information, now it's clear what kind of bonsai i have. It seems to be a unusable sort of bonsai. No, it's not typical material and it's going to take some work for sure. 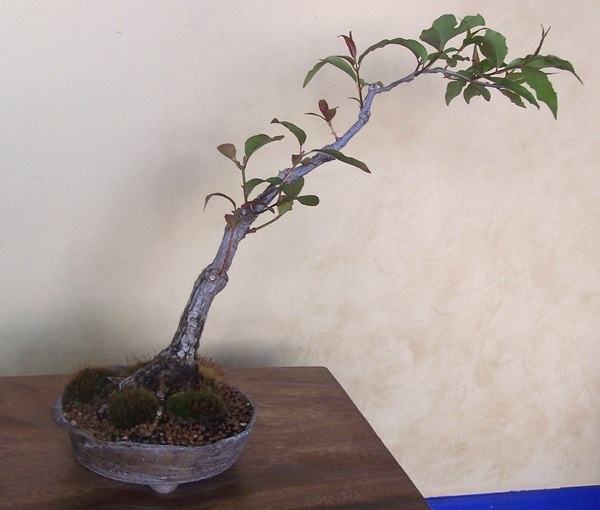 It's one of those shrubby things like Spireae, Forsythia and Callicarpa, and I'd grow it accordingly as bonsai.